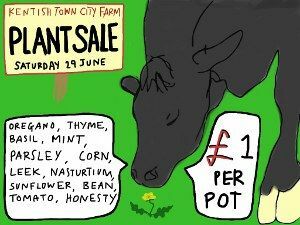 We took £110 at our recent plant sale. Everyone enjoyed the sun and the freshly made lemon & mint cordial made by Lucy Caithness who had organised the whole day as well as designing this fun poster. Thank you Lucy!